The news is all around! Conor ‘The Notorious’ McGregor lost against Khabib ‘The Eagle’ Nurmagomedov. 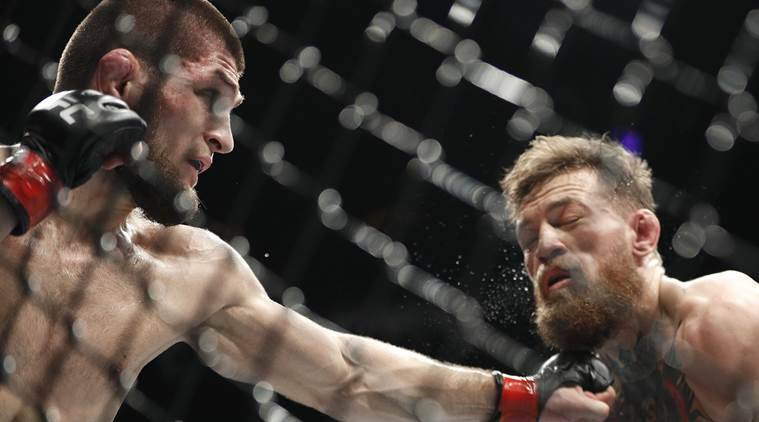 The much awaited and much-hyped event lasted for four rounds before Conor tapped out as a result of Khabib’s grapple. How did the fight progress? From the fight, it was obvious that Khabib fought with his brain. The Russian knew he had fewer chances of winning the fight if he stood toe to toe with the Irishman. Hence, he took it to the ground. Right from the first round, Khabib had McGregor grounded, thus tiring the latter out. Conor ran out of techniques and energy to withstand his opponent’s grappling and eventually gave in. The victory ensured Khabib’s unbeaten run extended to 27-0. Rare is the occasion where a post-match incident can grab more attention than the match itself and it was one of those moments at the T-Mobile Arena last day. After making Conor tap-out, Khabib turned his attention towards the Irishman’s camp and hurled his mouth-guard against them. The Russian then jumped over the octagon and took the fight to Conor’s team. The brawl didn’t end there, few of Nurmagomedov’s teammates entered the octagon and hurled their fists at McGregor too. However, Conor did manage to evade and punch his attackers back but he was outnumbered and attacked from ‘behind’. First of all I want to say sorry to Athletic Commission, Nevada, sorry to Vegas. I know this is not my best side. This is not my best side. I am human being. I no understand how people can talk about I jump on cage. He talk about my religion, he talk about my country, he talk about my father. He come to Brooklyn, and he broke bus. He almost kill a couple people, worry about this. UFC President Dana White has confirmed that Khabib and his teammates are in serious trouble. It was revealed that two of his people were arrested by the police and released later. White also revealed that Conor disagreed to press any charge against Khabib’s camp regarding the brawl. Post-match antics by the Russian earned boos from the crowd and the fighter wasn’t awarded with the belt, that he defended, inside the ring. Dana White’s statements also hinted an investigation that is going on which might even lead to Khabib Nurmagomedov being stripped off his title. “This is the most disgusting thing that has ever happened in the history of the company,’’ said White said after the incident. Let us not forget the ‘bus attacking’ scenario that happened back in April where Conor attacked Khabib’s convoy. 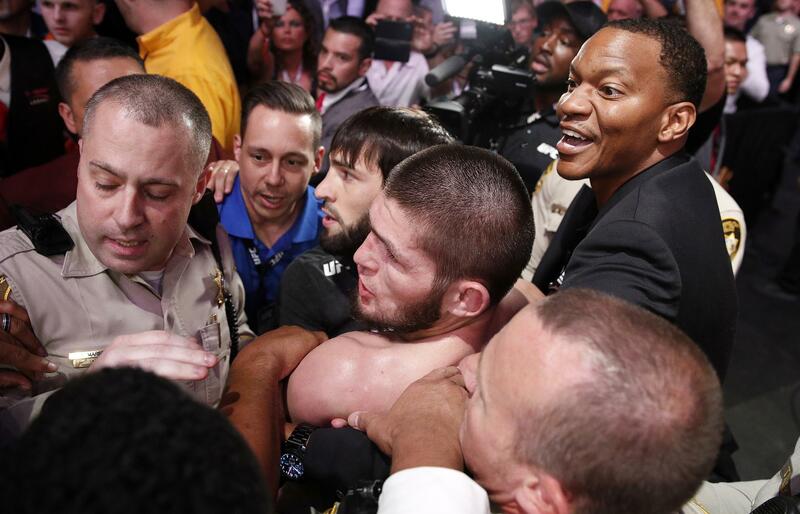 The incident left many injured but Conor came out clean. Khabib’s father Abdulmanap Nurmagomedov says he is disappointed over his son’s actions. As for now, Khabib Nurmagomedov has his paycheck worth $2 million withheld and could be stripped of the lightweight title he retained for jumping out of the octagon moments after his victory against Conor McGregor. The news regarding the events would soon reach us all.